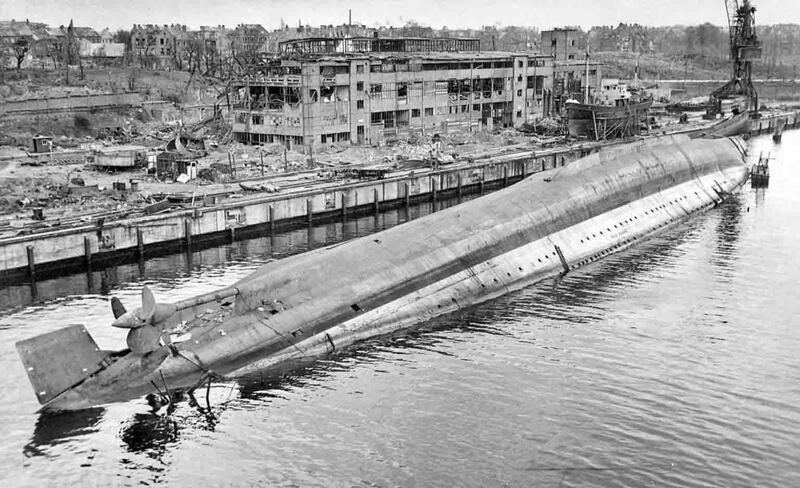 “Admiral Scheer” pocket battleship Adolf Hitler, sunk by the Allied aircraft at the shipyard in Kiel. On the night of April 9-10, 1945, during a raid of 600 bombers (according to other sources, 300 bombers participated in the raid), the ship received 5 hits of air bombs. Battleship capsized against the wall with its keel. Most of the crew was ashore, but 32 of the people on board were killed.